… the premier UK forum for presentation of the latest innovations in search and information retrieval. In contrast to other major industry events, Search Solutions aims to be highly interactive, with attendance strictly limited. The programme includes presentations, panels and keynote talks by influential industry leaders on novel and emerging applications in search and information retrieval. 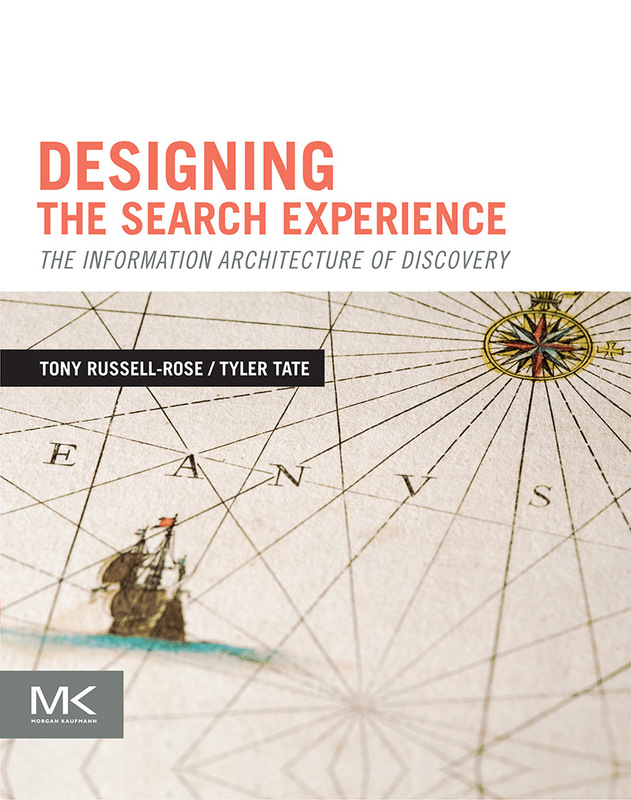 In case you missed it last time (since it filled up pretty quickly), there’s another chance to catch my full-day designing search tutorial in London on May 10. I’ll be presenting a full day course called Search Usability: Filters and Facets, which focuses on faceted search and provides deeper coverage of the key topics along with a variety of new practicals and group exercises. For further details and registration, see the UKeIG website. In the meantime, I’ve appended further details below. In case you missed it last time (since it filled up pretty quickly), there’s another chance to catch my full-day designing search tutorial in London on October 12. I’ll be presenting a full day course called Search Usability: Filters and Facets, which focuses on faceted search and provides deeper coverage of the key topics along with a variety of new practicals and group exercises. In case you missed it last time (since it filled up pretty quickly), there’s another chance to catch my full-day designing search tutorial in London on May 25. I’ll be presenting a full day course called Search Usability: Filters and Facets, which focuses on faceted search and provides deeper coverage of the key topics along with a variety of new practicals and group exercises. It’s also very competitively priced from just £180 per person – contrast that with a rate of ~£659 a day for this comparable offering! … a special one-day event dedicated to the latest innovations in web & enterprise search. In contrast to other major industry events, Search Solutions aims to be highly interactive, with attendance strictly limited. The programme includes presentations, panels and keynote talks by influential industry leaders on novel and emerging applications in search and information retrieval.